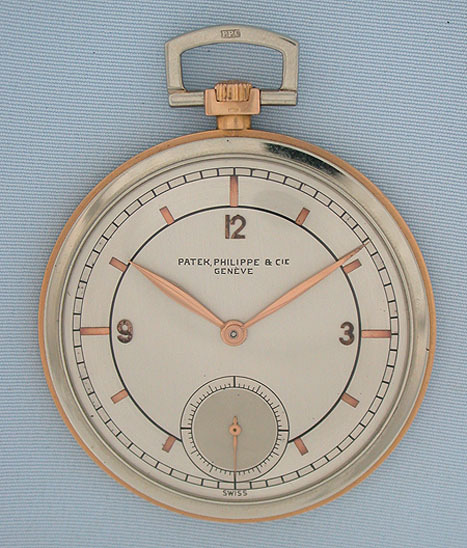 Fine and elegant Patek Philippe 18K pink and white gold slim Art Deco antique pocket watch circa 1927. 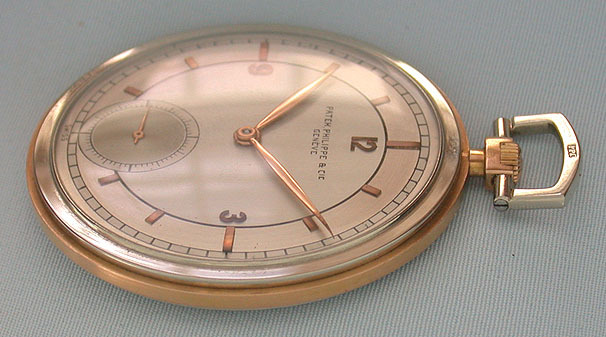 Original three tone silver dial with applied gold markers and gold hands. 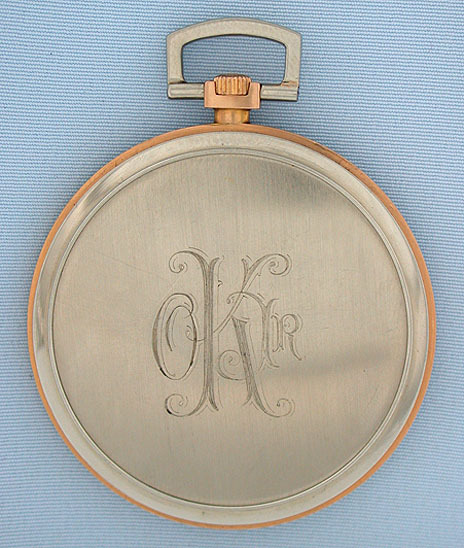 Slim gold case with presentation. 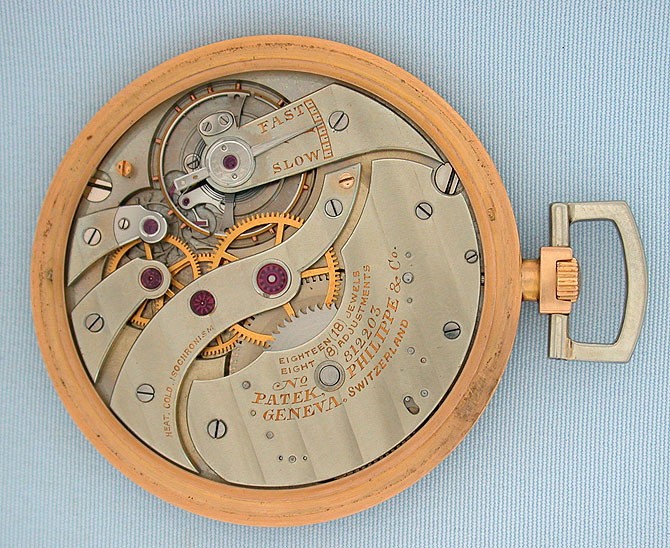 Nickel 18 jewel 8 adjustment movement with wold's tooth winding. 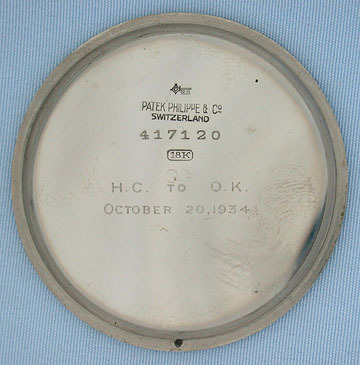 Formerly the property of Otto Kerner, Jr., governor of Illinois from 1960 to 1968. Most handsome. A matching two color gold chain is also available.